I've just started collecting Zoya Nail Polishes and just last night I added 4 to the bunch. I initially bought only 3 bottles a couple of months back (from a Multiply seller) just to try and I was impressed. Very impressed indeed! 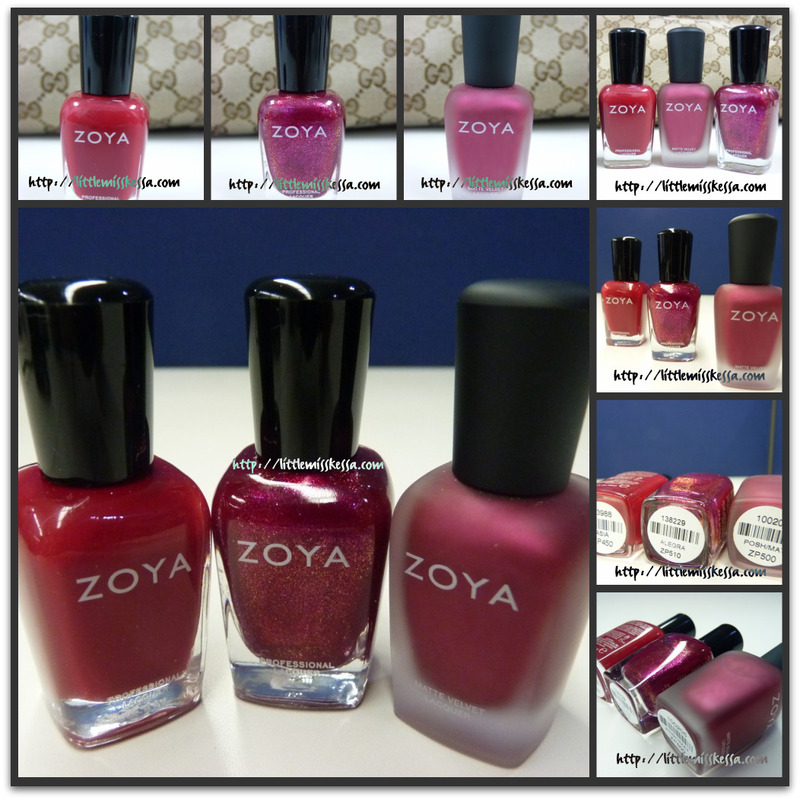 Zoya nail polishes are worth every penny you spend. 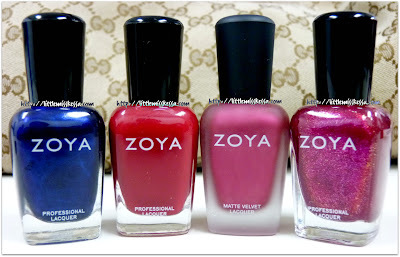 And sure I have developed this insatiable love affair for Zoya Nail Polishes. Not only are they the longest wearing natural nail lacquers, but they come in in every color imaginable. From the light natural-looking ones to luscious, fashion forward colors. So expect this whole army of polishes to grow. Did I say I just ordered a few more? Thank you to Organic Rituals for making Zoya more accessible to polish lovers in the Philippines. Add them up on Facebook or follow their Twitter account. If you want to try Zoya on your nails, visit their spacious and luxurious spa in Greenhills. Organic Rituals is located at the Mezzanine Floor, Atlanta Centre, 31 Annapolis St., Greenhills, San Juan. Open Monday - Saturday, 11AM to 9PM.